3M Vetrap Bandages 4.5m are premium quality, cohesive bandages that have been trusted by vets & horse owners for years. They are supportive & strong, yet flexible enough to move with your horse. They stick to themselves, without sticking to your horse's coat. 3M Vetrap Bandages are the original cohesive bandages, manufactured by the the market-leader known for producing strong & supportive latex-covered bandages. Made from high quality latex, non-woven cloth, elastic & polyester, the bandages are hard-wearing & durable, whilst being water repellent & sticking only to themselves (not to skin or hair). Ideal for supporting the horses legs, maintaining normal blood circulation & allowing natural movement. We offer a range of delivery options. See our Delivery Information page for more details. Small, light parcels are delivered by Royal Mail. Larger, heavier parcels are delivered by a courier service that required a signature. Premium next day delivery is available on selected products but we must receive the order by 12pm. If ordered after 12pm, this delivery will be a 1-2 service. Please note that orders placed on a Friday will be delivered on Monday with the premium next day service. If you require your order more urgently, please do not hesitate to contact us. We may be able to offer a more premium courier service, including delivery on a Saturday, for an additional fee. The dispatch time for each item may differ, due to stock levels or delayed supply, but our aim is to dispatch within 48 hours of receipt of the order. Instructions for delivery drivers can be left in the “Delivery Instructions” box at checkout. Please leave instructions so that your delivery driver can find your house easily. Certain postcodes in Scotland and some offshore addresses do incur a delivery surcharge with our courier and may have a longer delivery service. We apologise if you are affected by this and appreciate your understanding. The Rockies LaminShield range provides increased levels of magnesium, as well optimum amounts of other vitamins, minerals & trace elements, to help keep your horse in great condition. Magnesium deficiency can contribute to developing laminitis. Orthopaedic Soffban Padding is a soft, non-adhesive bandage, that is used to hold a dressing in place and provides protection and padding. It is generally applied over a dressing and under a cohesive/adhesive bandage. It is also used to help prevent bandage rubs. 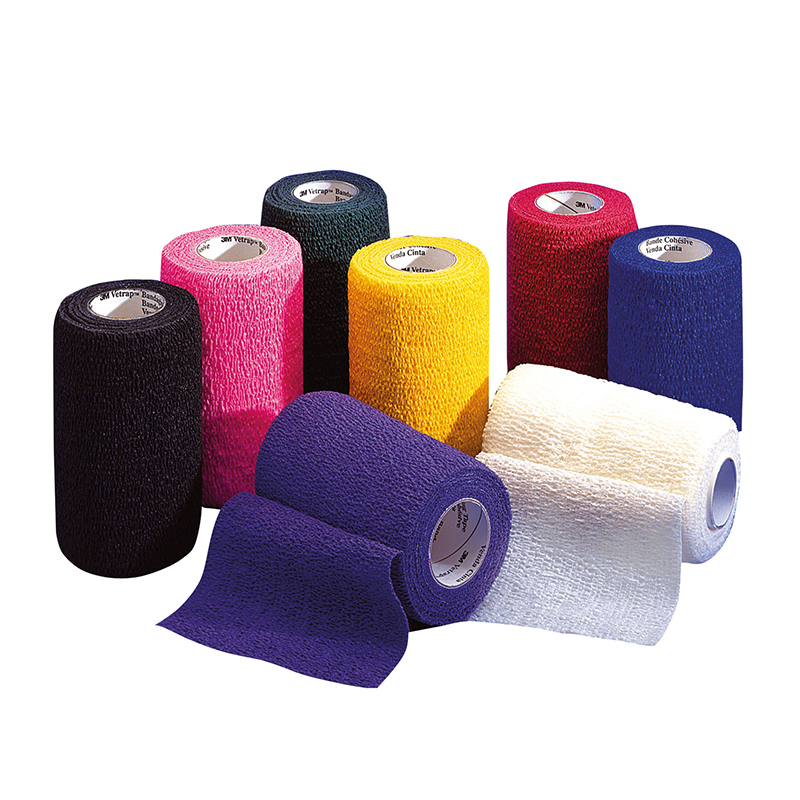 E-Band is a premium quality, elasticated, adhesive bandage, that is used to hold other bandages/dressings in place or for support or compression. Vetrol Duct Tape is high quality; waterproof; has a high strength adhesive & is easy to tear by hand. It has many uses around the yard & in your first aid kit, including adding a waterproofing layer to foot poultices. Best Friend Deluxe Grazing Muzzle is ideal for horses needing to restrict their grass intake. It allows unrestricted access to water still & doesn?t need to be attached to a headcollar. It's comfortable, with a padded noseband & 5 way adjustable straps.